Many of us wish to get into the field of blogging and website business to earn a decent amount of money. But in order to run a successful website, you need to have the best SEO done for your website or blog. Without this, your website won’t be visible in the search engines for particular keywords and won’t even have higher rankings on search engine result pages. It is pertinent to use good SEO auditing tool in order to test your website and rectify all the problems that are present in your website. 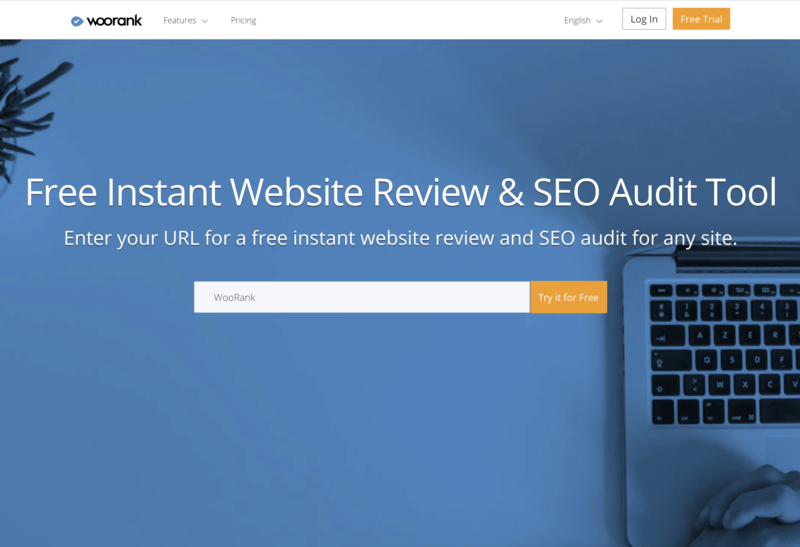 When it comes to the best SEO auditing tool, WooRank is among them which allows you to run a complete analysis of any particular website, whether it is your own website or of your competitors. It is quite an effective tool which has easy to use as well as simple interface, and it does come with one of the most in-depth analysis that you can find. It also has a quite a potent keyword tracking tool which provides you with the insights that you are required to run any successful SEO campaign. After you have signed up for WooRank, you have to use your own email address which you used as the username along with the password that you have created in order to log in to your own account. From this point, it is where the review process begins. Once you have started the review, the first thing that you will view is the score present on the top right-hand side. It is the 100 Point Scale of WooRank which is how they determine the marketing effectiveness. Once you have gone through this report, you will certainly note that each aspect of this report has either “To Improve”, “Error” or “Passed” icon beside it. This is the method of WooRank to signal which section of the website requires the changes. Now comes the optimization part. As you go through the entire areas by scrolling, you will see a navigation menu situated on the left-hand side which shows the aspect of marketing which is related to that section. The optimize section is everything which is related to the performance of the website. It contains everything from SEO friendliness of the website to the performance of the website within this section. In the promote section, it allows you to view the number of backlinks a website has, as well as the referring domains that it has. It also provides a detailed analysis of the social media accounts of the website like Facebook, Twitter, and Google+. “Measure” is the section where you can view the type of traffic which you are getting on your website. It provides you with the estimated number of people which are visiting your website through organic and paid traffic which is directly pulled from the SEM Rush and Alexa. This is the particular region feature which shows you the region in the world from which the people are visiting, in the form of a graphic. “To Improve” is the section which is another vital aspect of WooRank. Any improvements which need to be made has a yellow icon beside its name with a “!” inside it. However, these improvements won’t cause any sort of major problems to your site or have any kind of significant impact on the search engine ranking of your website. However, it is certainly a good idea to try it and make as many improvements as possible. “Errors” is something which can potentially cause harm to the website and also leads to affecting the site visibility on different search engines to fall. There is advanced review package which has few of the best features which help you in improving the marketing campaigns. The major difference that you will certainly notice between this and the basic standard review is the navigation bar which is situated at the top. It has keyword tool which allows you to keep track on keywords and view how the website is performing on the Google search engine for those keywords. The Settings tab provide you with some of the extra features which enhance the advanced review. First thing is the section named “competitors” which allows you to put up to 3 other websites which you wish to track alongside your website. Now when you view at the website review of your website, you will be able to view what the different competitors are doing alongside your website. The Google Analytics feature allows you to sync the analytics account with the WooRank. Now, whenever you are looking at the website review, you can easily access the analytics stats of the website. The same process can easily and promptly done with the Google search console and also a Facebook account if you have that particular setup. It has a site crawl feature which allows you to crawl your website in different ways. All you need to perform is to click the button named “start crawl”, and then you have to wait for the results to come up. This is a feature which is now in a beta mode at present so you may have to wait for some time for it to improve. The best SEO auditing tools present in the market are quite expensive. Mostly, they provide limited features for small packages. So when it comes to getting more advanced features at a considerably good price, WooRank is among the best choices. It is not only a great SEO auditing tool which does good in comparison with the best in the market, but it also provides you necessary insights at the right price. It offers a free trial for 14 days which doesn’t require any credit card. After then, the price range between £49.99pm and £249.99pm for various packages. The major differences between these different packages is the number of reviews that you can actually make. All of these packages come with an unlimited number of standard reviews, but in case you wish to have multiple advanced reviews then you have to pay a little more amount. It has “premium” and “enterprise” editions which come with customizable PDF reports too. Running a successful blog or website requires good online marketing, and there are many tools that are present in the market. It requires in-depth knowledge of the market and the types of visitors to the website. There are lots of tools which can be used for SEO auditing. WooRank is definitely among one of those tools that is worth the look. It has all the essential features which help you to find out the important regions and sections to improve your website. It also helps you in comparing your website with your competitors. It provides you insights of the visitors of your website. It also offers you a great keyword research tool and analytics option. It comes with a free trial of 14 days, and the price range of its packages are quite within reach of an average blogger or website owner. It also has great customer support, and it is improving every day and adding new features for its customers. According to us, it is one of the must-have tools that you should have in order to audit your website and make it SEO friendly to make it more visible on the search engines.